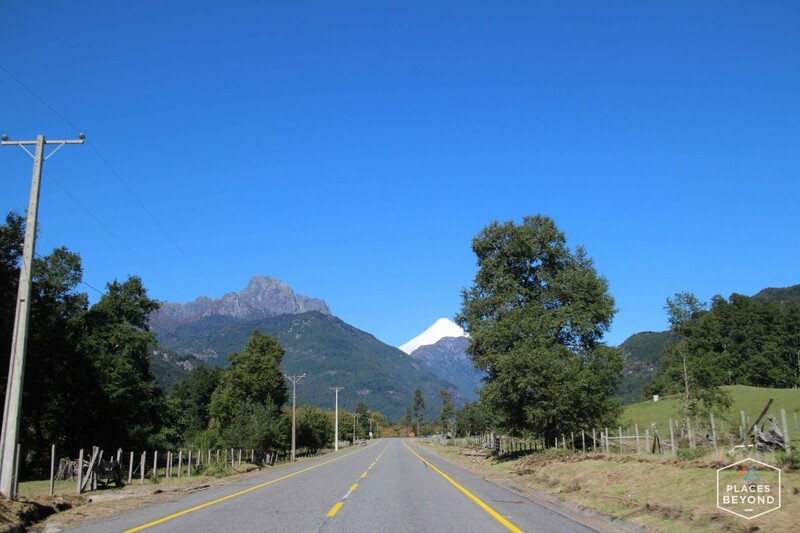 From Pucón I packed my bike up after 8 days of volunteering on an eco home build. The ride started out the worst way possible. As I said goodbye to the family I got on the bike and instead of turning around in the driveway I decided to just ride through the grass. I had forgotten that the previous night the rain had turned the front yard into a lake. When I hit the throttle and went to turn off the grass my tires went out from underneath me in the soggy muddy grass. What an embarrassing way to say goodbye. I picked the muddy bike up and rode on. 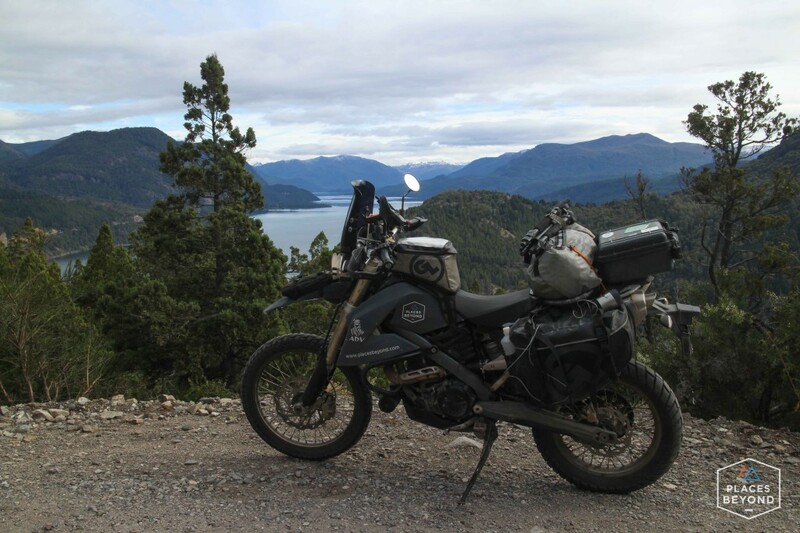 I rode east on highway 199 to the border with Argentina. 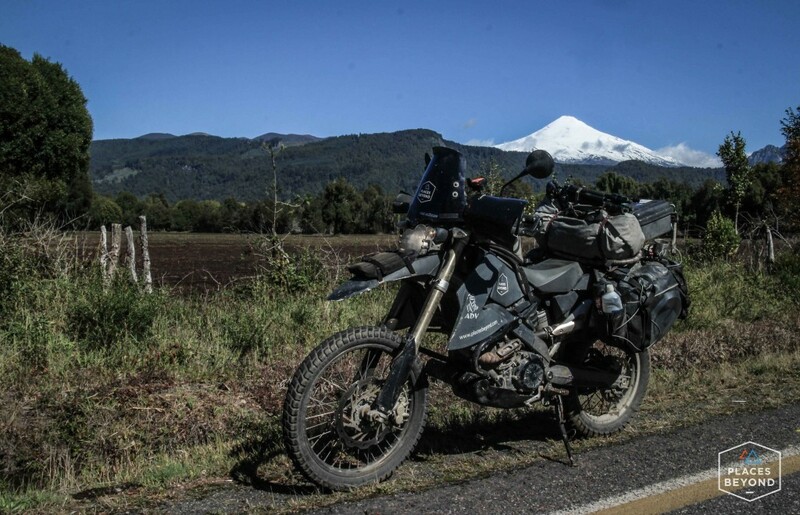 Leaving Chile, the ride was beautiful as I rode by volcanoes and through the mountains. 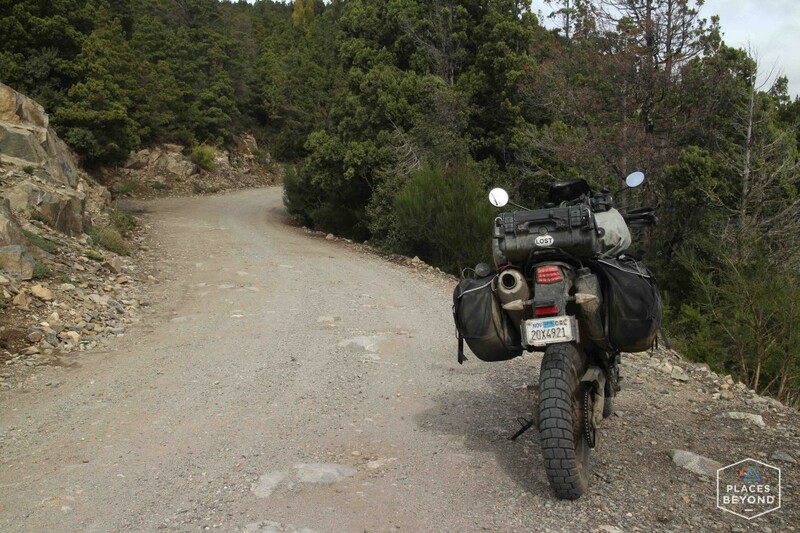 The road eventually turns to gravel near the border as it goes through a national park. 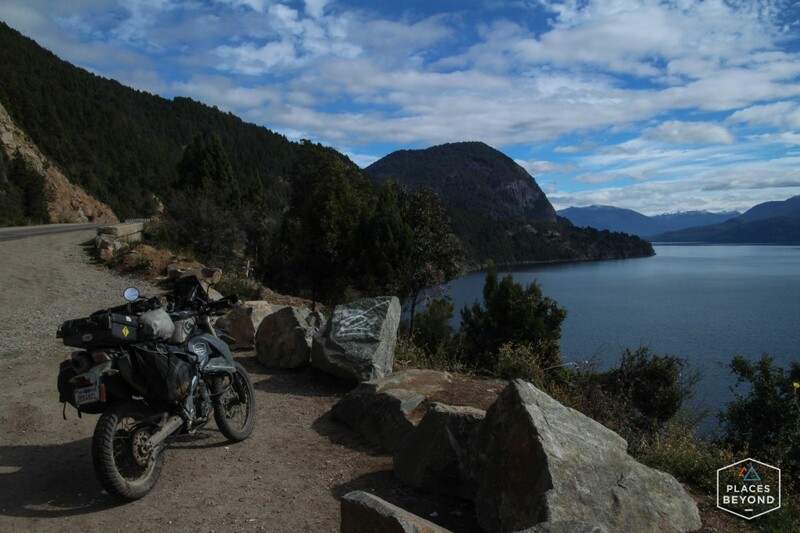 I stamped out of Chile and into Argentina for the last time on this journey.  This is my 9th time crossing into Argentina. 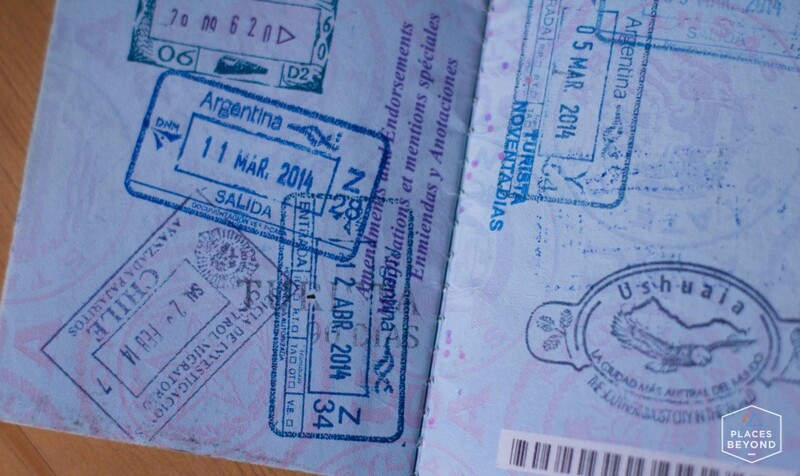 That’s 18 passport stamps just for these two countries. A while back I started asking them to place more than 4 stamps to a page. If they hadn’t, my passport would have been full a long time ago. At this border the official reminded me my passport was full. 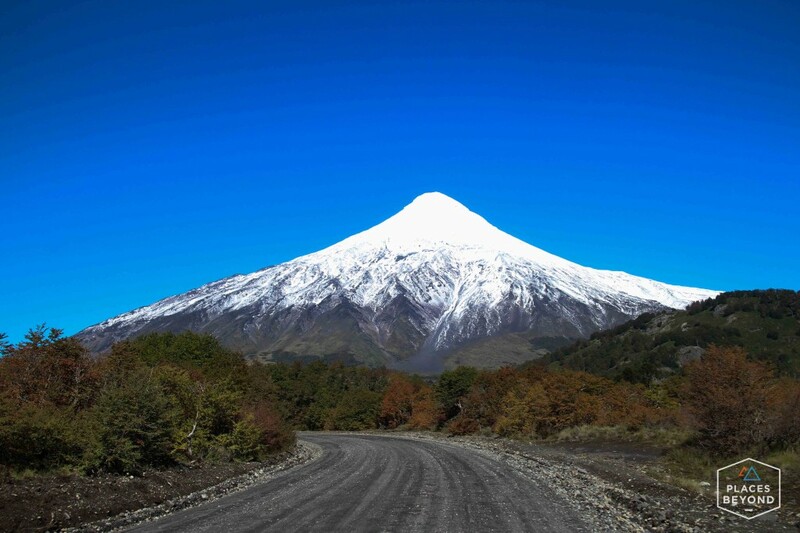 Crossing into Argentina on the gravel road there was another volcano greeting me. 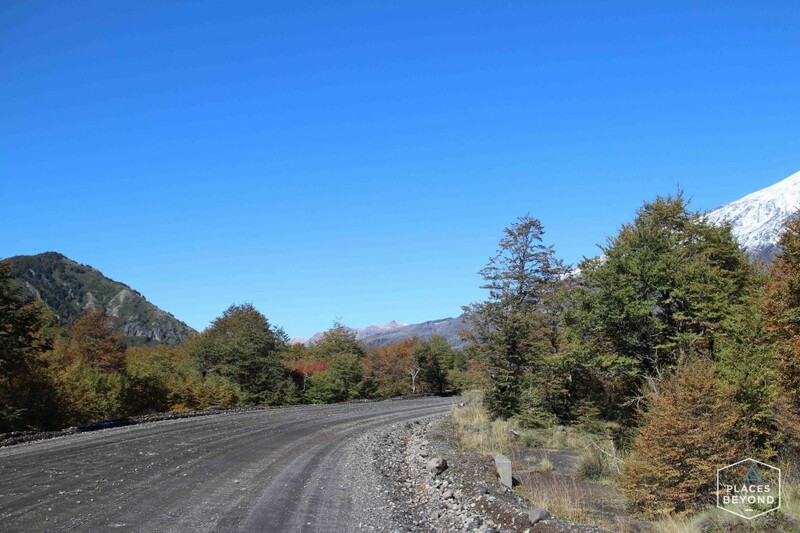 The ride in Argentina was beautiful as most of the surrounding trees were changing colors as winter nears. 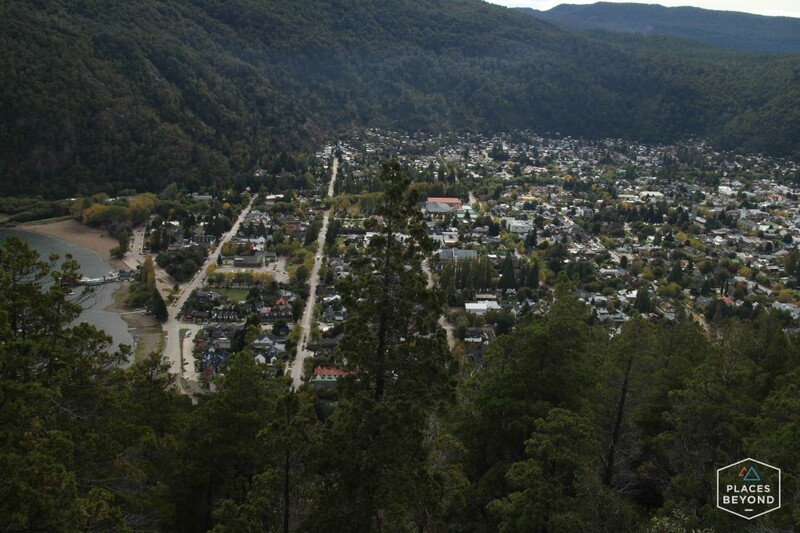 I rode to the quaint Argentine mountain town of San Martin de los Andes. The small town sits along side a lake and in the valley below the mountains. 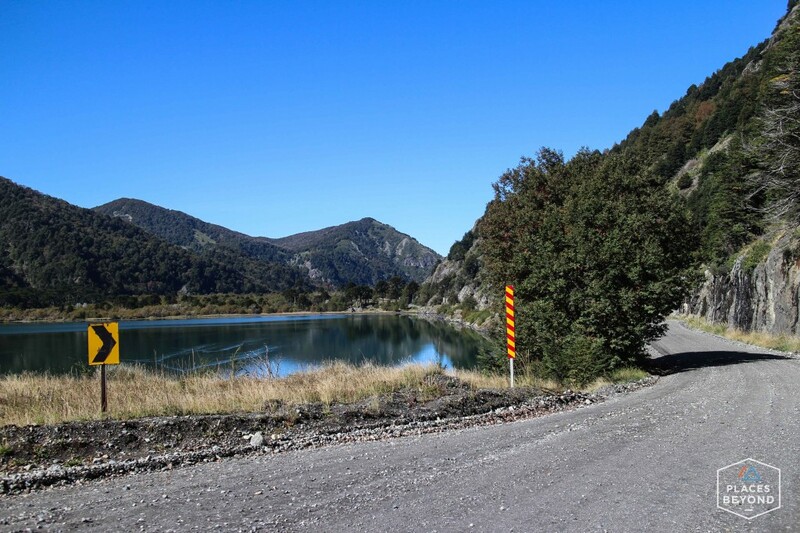 I wandered down the dirt roads into the mountains around the town and the lake. 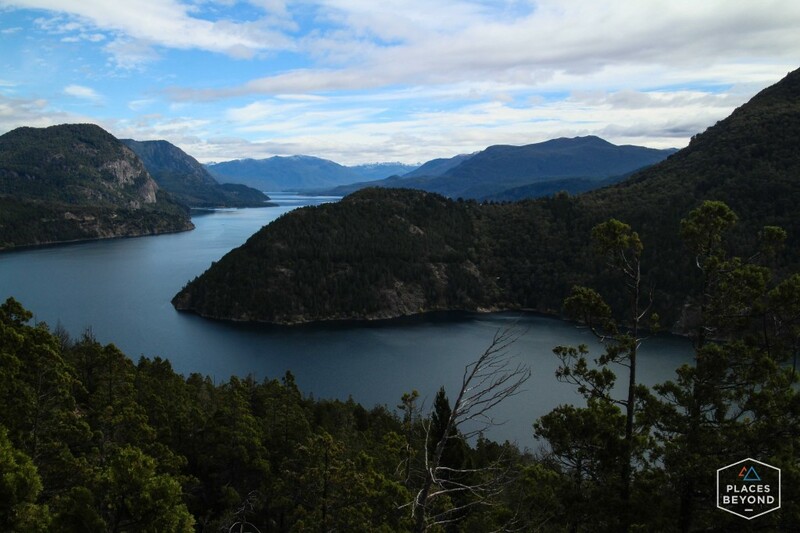 San Martin de los Andes is the kind of mountain lake town I thought Bariloche would be. 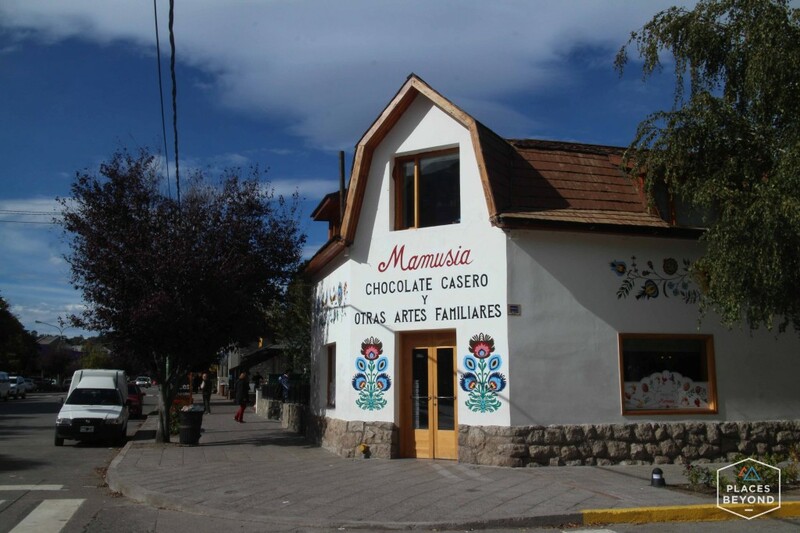 San Martin seems like a real town compared to it’s much larger and more touristy southern neighbor. It must be the low season here as the large hostel I stayed in was completely empty. Now that I was back in Argentina, the land of great steak and cheap wine, I walked to the mercado to get supplies for dinner. I walked up to the butcher and asked for a quarter of a kilo of asado. He must have thought I said a quarter of the giant slab of meat on the counter. Not wanting to hold up the long line of people waiting I smiled and said thank you. I now had enough steak for a whole family. Too bad I was the only one at the hostel. 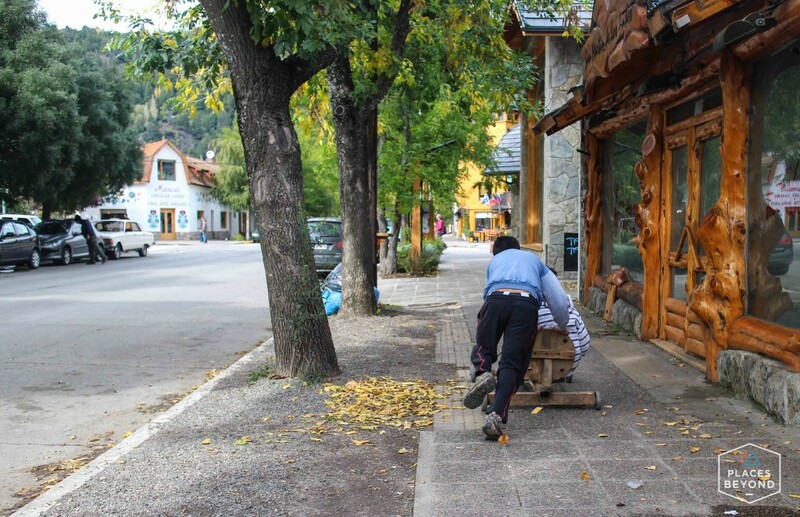 Boys run around the small town on a homemade wooden push cart. One of the nice shops in town. Homemade chocolates. Very enjoyable to follow your adventure.  Great photos and commentary.